SIPRI released the sixth film in its short-film series 2016—A Year of Reflection. 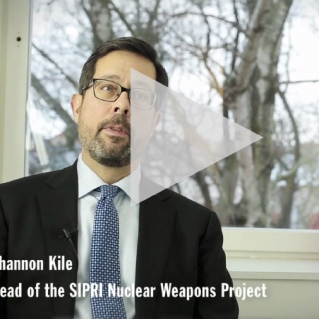 The film features SIPRI Senior Researcher Shannon N. Kile and SIPRI Distinguished Fellow and Ambassador Rolf Ekéus discussing the latest trends and developments in the world's nuclear forces. Watch the sixth film or see the whole series thus far on SIPRI's YouTube channel. The 2016 NATO Summit: What will be on the agenda in Warsaw? The heads of state and government of the NATO member states will meet at a Summit in Warsaw on 8–9 July. It seems unlikely that the leaders will seek to revise key guidance documents—the 2010 NATO Strategic Concept and the 2012 Deterrence and Defence Posture Review—although it is widely recognized that both documents contain language and ideas that no longer fit how NATO members see current security problems. Read the topical backgrounder by SIPRI's Dr Ian Anthony and Dr Ian Davis. SIPRI launched its annual nuclear forces data on 13 June, highlighting the current trends and developments in world nuclear arsenals. The data shows that while the overall number of nuclear weapons in the world continues to decline, none of the nuclear weapon-possessing states are prepared to give up their nuclear arsenals for the foreseeable future. Read the press release and download the fact sheet. 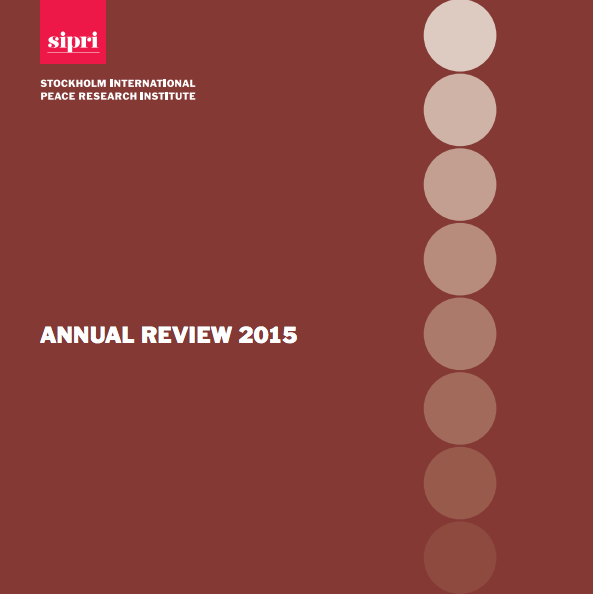 Looking back at the past year, SIPRI presents its Annual Review 2015. Covering major global milestones in the path towards peace and security, the annual review shows how SIPRI contributes to these long-term peace efforts. It highlights SIPRI’s events and seminars in Addis Ababa, Central Asia, Stockholm and New York, plus key features of SIPRI’s work in cyber technologies, inclusive peacebuilding in Mali, tracking global arms trends and the shifting landscape of peace operations. Download SIPRI’s Annual Review 2015. Decreasing violence in the North Caucasus: Is an end to the regional conflict in sight? 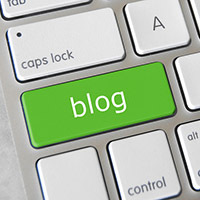 Read these and all earlier WritePeace blog contributions. In a rapidly urbanizing world, the safety and security of our cities is more vital than ever. SIPRI’s inaugural Stockholm Security Conference on Secure Cities, hosted in collaboration with the City of Stockholm and in the presence of His Majesty King Carl XVI Gustaf of Sweden, marks the beginning of a new initiative aimed at identifying and managing some of the world’s most pressing urban security risks. Drawing on SIPRI’s world-leading network of security experts, the conference will bring together more than one hundred top policymakers, C-suite business executives, researchers and other key stakeholders to share knowledge on urban security, stimulate debate and enable networking between diverse groups. Contact SIPRI's Theresa Höghammar for further details. 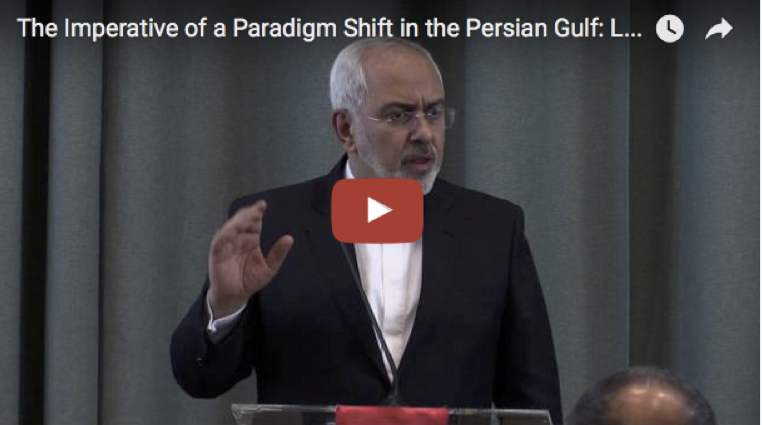 SIPRI hosted the Iranian Minister of Foreign Affairs, HE Dr Mohammad Javad Zarif for a public lecture entitled 'The Imperative of a Paradigm Shift in the Persian Gulf: Lessons from the Iran Nuclear Deal'. SIPRI Chair of the Governing Board HE Sven-Olof Petersson moderated the subsequent discussion. Watch the whole event on SIPRI’s website or YouTube channel. What is driving Russia’s foreign and security policy? The conflict in Ukraine and the annexation of the Crimean Peninsula have transformed international perceptions of Russia. Against this background, a sharp debate has developed about Russia’s strategic aims and the principal drivers of its foreign and security policy. SIPRI Director Dan Smith moderated a conversation with experts from Russia and Europe. SIPRI is seeking a talented and motivated Senior Researcher to work in its Peace and Development research cluster. For more details, see the job announcement on the SIPRI website. The launch of SIPRI’s nuclear data was featured in over 1200 global media outlets. Contact SIPRI's Director of Communications Stephanie Blenckner for a complete report. >>Pieter Wezeman was interviewed by Euronews TV programme Insiders about the weapons supply to the Houthi in Yemen. >>Sam Perlo-Freeman was quoted in an MSN article listing the 10 countries that spend the most money on war. >>SIPRI data featured heavily in a piece by Bloomberg News on Asia's military spending. >>On World Refugee Day, Gary Milante contributed to an article by PolitiFact that fact-checked US presidential candidates' claims about refugees. SIPRI issued the fact sheet: Trends in world nuclear forces, 2016 by Shannon N. Kile and Hans M. Kristensen. As of January 2016, nine states—the United States, Russia, the United Kingdom, France, China, India, Pakistan, Israel and the Democratic People’s Republic of Korea (DPRK, or North Korea)—possessed approximately 4,120 operationally deployed nuclear weapons. If all nuclear weapons are counted, these states together possessed a total of approximately 15,395 nuclear weapons, compared to approximately 15,850 in 2015. While the overall number of nuclear weapons in the world continues to decline, none of the nuclear weapon-possessing states are prepared to give up their nuclear arsenals for the foreseeable future. This fact sheet estimates the nuclear weapon inventory of the nine nuclear-weapon possessing states and highlights some key aspects of the states’ recent nuclear-force developments. 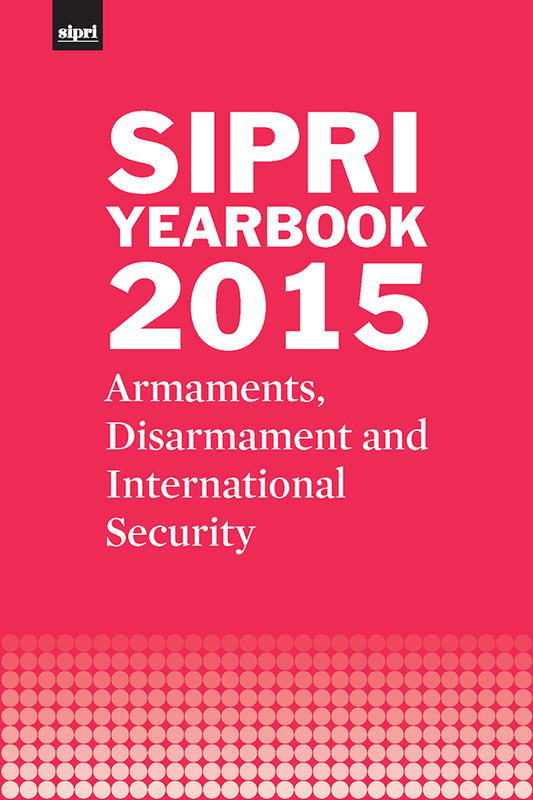 Download a summary of the SIPRI Yearbook 2015.